Investors Realty was proud to receive a 2015 Excellence Award from the Greater Omaha Chamber of Commerce. This award is given to companies and individuals who dedicate themselves to excellence and help make Greater Omaha a vibrant place to do business, work and live. Steve Farrell and Jerry Heinrichs were inducted into the 2015 Hall of Fame class at the Commercial Real Estate Summit in April. Investors Realty once again received several CoStar Power Awards in 2015. 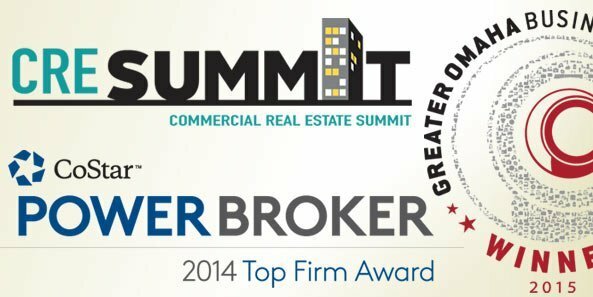 The firm was recognized both as a Top Leasing Firm and a Top Sales Firm. R.J. Neary, Ryan Zabrowski and J.P. Raynor were named Top Office Leasing Brokers. R.J. Neary, Ryan Zabrowski, Clint Seemann and Kevin Stratman were named Top Industrial Leasing Brokers. Tim Kerrigan was named a Top Sales Broker.